You know you gotta love it when an artist takes the ordinary and makes the extraordinary. 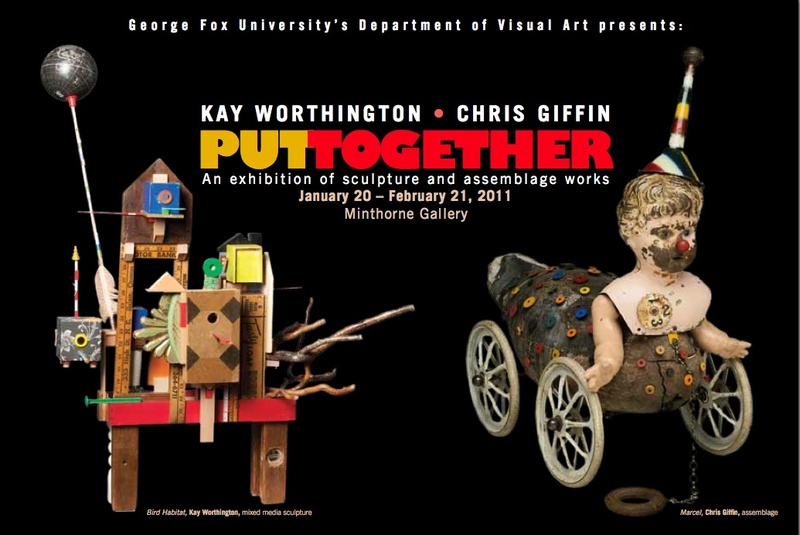 I have the privilege of running the Minthorne Art Gallery at George Fox, and this next month have curated a show featuring two assemblage artists, Chris Giffin and Kay Worthington. They both make exceptionally playful work that are inventive and a delight. I encourage you to drop by and see the show if you have a chance. It’s a blast. Why I bet you’re going to want to go nail or glue something together after all of this! This entry was posted in Go Here! 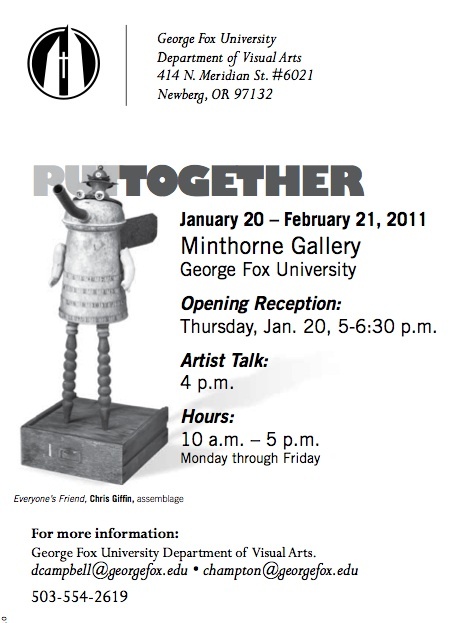 : and tagged art opening Oregon, assemblage, assemblage in Portland, Chris Giffin, Kay Worthington, Minthorne Art Gallery, mixed media. Bookmark the permalink.